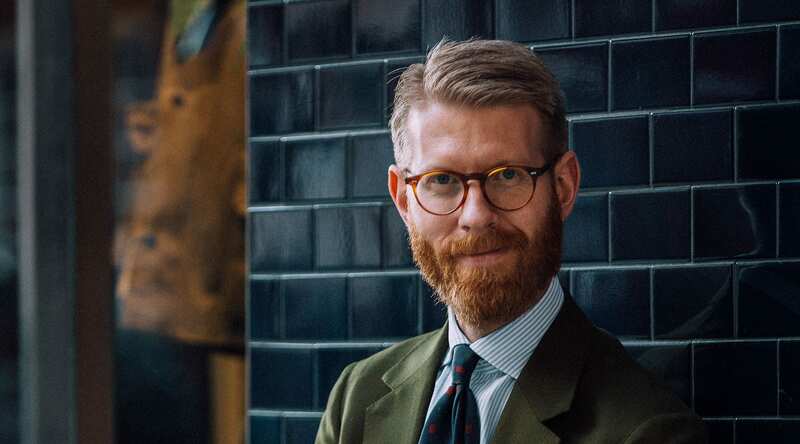 The Whitehouse Cox Journal recently had the pleasure of interviewing style guru, wealth manager and true gentleman, Olof Nithenius. Olof Nithenius is a curious case. 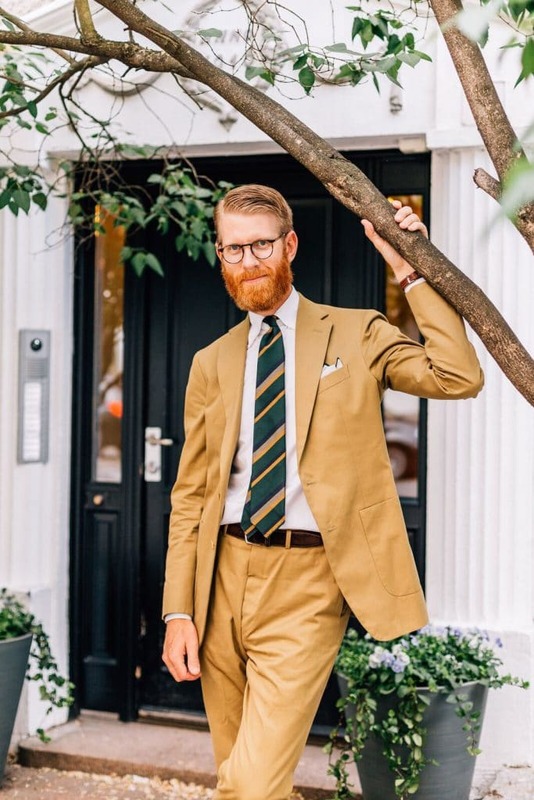 A wealth manager by day, Olof is also a style guru who has organically ascended into influencer status. Nothing has been forced, Olof is just one of those fortunate people with a sharp eye for the kind of effortless style most of us could only dream of. Over sixty thousand people take daily inspiration from Olof on Instagram and he has lent his wisdom to top magazines, brands and even modelled for Harrods over the past five or so years. 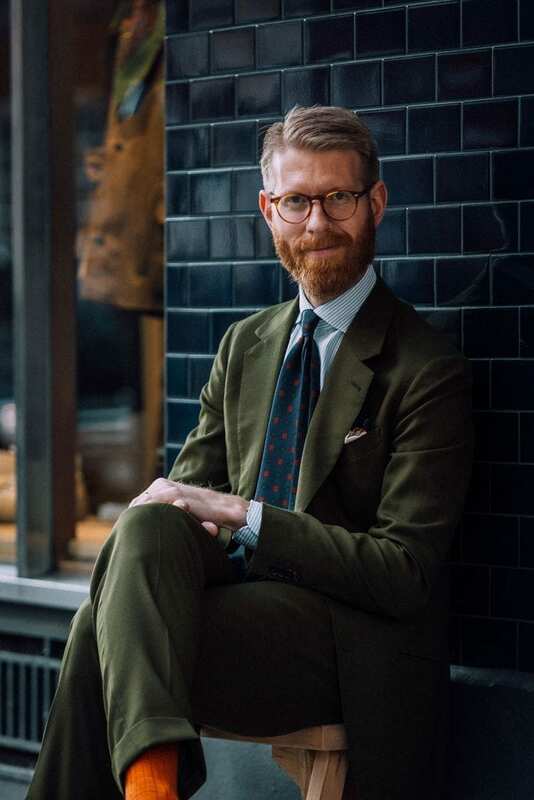 A truly stylish gentleman, Olof recently took the time to talk to Whitehouse Cox regarding everything from his inspirations and best style advice to what modern gentlemen should be more aware of. Keep reading to discover more about a true style inspiration. 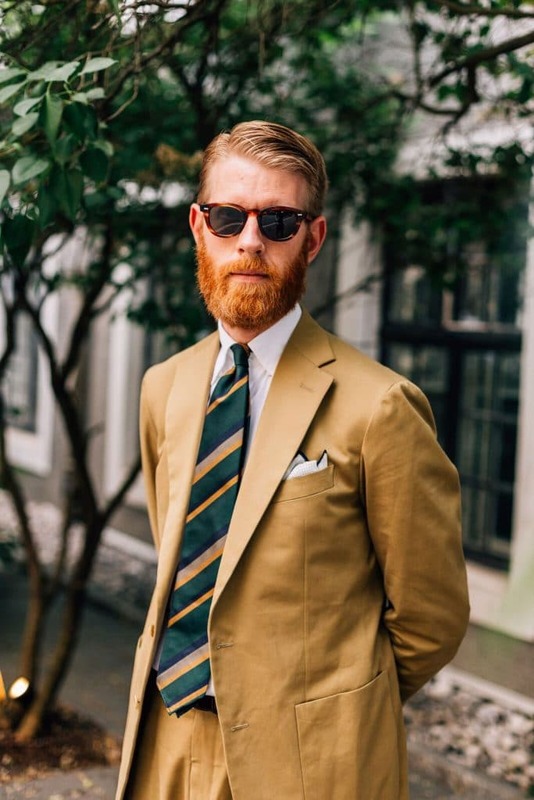 I am a 36-year-old wealth manager from Sweden with a huge passion for style. I have two careers you can say. I am an educated lawyer from Gothenburg and London who has been working in banking and wealth management for the last 12 years. I have always had an interest in style and fashion. I have had the same style for the last 15 years, as a grown up. This interest lead to that I was asked 5-6 years ago if I wanted to write about menswear once a week for one of the largest Scandinavian menswear sites online (Manolo.se). I did, and the rest is history. After this, I have been writing for many magazines and sites, for brands and shops. I have been a model for Harrods and consultant for some brands. Started my own webshop and most importantly met lots and lots of fantastic people! Hard to tell since I don’t want to label it because it’s a bit of a stereotype. Classic and casual at the same time. I love the classic style, but I don’t want it to be too stiff or elegant. 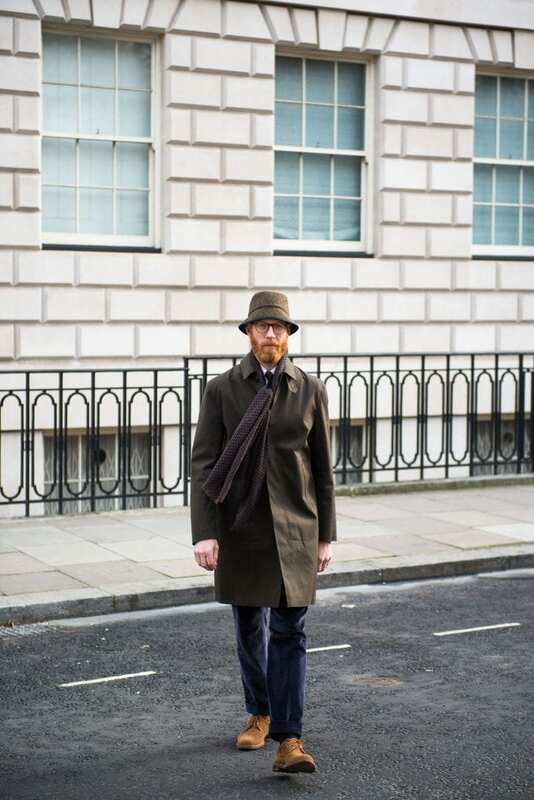 I prefer a British look with some added casualness. 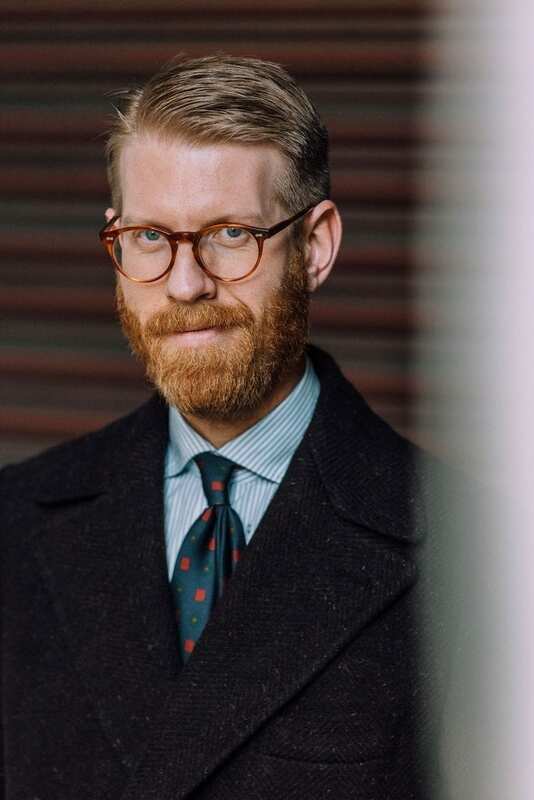 Think British tweed fabrics tailored very softly in Italy, denim or flannel trousers, cordovan or suede loafers from Alden, oxford shirts and a knitted tie. From many different sources. Old Hollywood movies, from Wes Anderson movies, from contemporary art, from gentlemen’s clubs in Pall Mall, from the intellectuals in NYC, from stylish people on social media, from people on the street, from London and Florence and from music. What’s the best piece of style advice you have ever received? But also, to try and listen to yourself rather than others when you dress. Only wear clothes that you feel comfortable in and that represent you. Your style should reflect your inner soul, who you are. All the people I considered well-dressed have in common that they dress for themselves. What’s in your wardrobe for summer 2018? For a day off its vintage madras bermudas, a short sleeve seersucker shirt, canvas deck shoes from Sperry, a braided leather belt from a vintage shop and an old pair of Moscot Miltzen shades. I will also wear an olive cotton suit with cordovan loafers, oxford shirt, a striped shantung tie and a white cotton pocket square. Where is your favourite place to spend summer? At home! I live in a house on the Swedish west coast, although it’s 40 minutes from the city it’s in the countryside and within walking distance to the beach. I also enjoy spending time up the coast in our family´s summer cottage. If I travel in Europe I have to say north Sardinia or San Sebastian. In the US, the coast of New England is my preference. You were featured in David Coggins’ book Men and Manners, which manners do you feel the modern gentleman should be more aware of? To start with for me being a gentleman is not about dressing, that’s only part of it. A true gentleman must be a gentle man. It’s someone who has a nice manner, that’s honest and polite, treats everyone with respect and has a natural self-confidence. If he also dresses well it’s an amazing combination. Sometimes it is because a person with all the characteristics above shows respect to his surroundings by dressing well. I would never call a well-dressed person a gentleman if he is a bully, is bad-mannered and disrespectful. Away from work, how do you relax? In the kitchen. I love cooking, it’s very contemplative for me and a way to be creative. We have lots of vegetables, fruits and spices in the garden that I use. I go to the local farmers and their shops and buy good meat. Love it! I also travel alone to London. It’s a city that’s my second home. I visited London pretty late in my life for the first time. I was 21 years old and it was love at first sight! A few years later I studied law and the university in London and ever since I’ve visited a few times every year, sometimes even more often. Its hard to describe but the first time I walked out from the train at Liverpool street, took the tube, walked the streets, saw the people and buildings and breathed in the air I knew this was home to me. Spending a weekend in London is very relaxing for me. You have amassed a huge Instagram following, how did this come about? Honestly, I don’t know. I started 6 years ago when I started as a freelance writer to document all the style-related things that interested me and I have done ever since. I try to post a few every day. Mostly about what I do that’s style related but also a few more personal posts. You run a successful webshop, how do you select items to showcase there? Easy, by only selling things I want to wear myself. The site and brand carry my name and items sold there must be something I can stand for. What does the future hold for Olof Nithenius? I can’t tell and that’s pretty nice, to be honest. I focus on my full-time work as a wealth manager which I love. When I do have time, I continue to write for magazines and sites around the world and work with my brand and web shop. I feel very privileged to be able to combine this and will continue to do that. Will I end up in London one day with my family? Only the futures knows that. With thanks to Olof Nithenius for a superb interview. Discover his Instagram and website.